As this week is beginning, I would like to give you a theme to ponder in the coming days. It’s a theme that you’ve been pondering since you began creating your memory as a child. That theme is Truth. Aren’t we all naturally-born truth-seekers? We all want to learn the Truth but when we think we finally “got it” it suddenly slips away. I am guilty of thinking that the Truth was a black and white kind of thing. You are wrong and I am right. Only one truth must be accurate and all else are failed fallacies. Just as God told Neale, I’ve allowed my truth to grow and evolve as my life does. I admit that I don’t have all the answer nor do I strive to have them anytime soon. I don’t waste my energy on trying to prove my truth to others; neither do I force anyone to accept it. Instead I share my truth and respect that we all have our own version and that is okay with me. 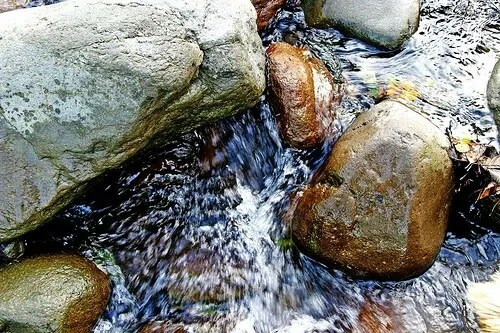 So for all of you truth-seekers out there, learn to be flexible like the stones in a river. Allow the truth to shape you as the river shapes them. Those who resist are eliminated from its path. Those who allow find that they are part of the river. I don’t seek the truth, the truth seeks me. Praise the Lord In everything you do, all truth is indeed in him!